Outdoor adventure in Winter; May to October on The Garden Route! Winter needn’t be dreary if you just book some time out! Give yourself a break and head for The Garden Route, South Africa for fresh air & adventure. There are so many things to do here during the Winter months (May – Oct) that it’s really worth booking up a nice holiday home and taking out some time to enjoy the numerous outdoor adventure activities & festivals that the Garden Route has to offer. Most festivals through the Winter are annual and so here’s a useful list of all the things happening every year usually around these dates. Simply pick an event, check the actual dates, book some time off work and come on down. 3-6 May – Knysna Hill Climb Racing -The annual Jaguar Simola Hill Climb Speed Festival is gaining incredible popularity and provides a “festival of speed” that the whole family can enjoy. This is one of the best car shows in South Africa featuring displays, parades and races of both vintage classic and modern racing cars. 24 – 27 May – Knysna’s Pink Lourie Festival – One of the largest annual diary events for the Gay South Africa community. The event sees Knysna explode into an array of color and activity during this time of year and there are many associated events around the festival that attract visitors from all over the country. Be extravagant and stay in one of our beautiful upmarket villas if you are visiting at this time. 25 June – 29 July – Plettenberg Bay’s Arts Festival – This Festival is in its 5th year running and “gaining momentum” according to Plett Tourism. The festival runs annually between end June & early July; (This year 23rd June – 09th July 2018) and boasts over 2 weeks of wonderfully vast array of musical performances, drama, art exhibitions, workshops, dance, games, Jazz, food stalls, theatre productions and movies. 29 June – 08 July – Pick n Pay Knysna Oyster Festival which includes the Knysna Marathon, Family Hike, Knysna Wine Festival, Cycle tour MTB and many associated events. This annual event has seen an increase in visitors to Knysna year-on-year and has proven to be one of the biggest calendar events on The Garden Route and one of most popular of things to do in the Winter months for the whole family. This sport and lifestyle event not only offers something for the sports enthusiasts, cyclists, road runners & MTB addicts but there are also a variety of concerts and comedy shows happening, not forgetting all the culinary delights, wine, bubbly and OYSTERS! Here are ten useful facts about the Knysna Oyster Festival. 01 Sep – Eden to Addo hike has been created with an aim to linking three main reserves, the Garden Route National Park, The Baviaanskloof World Heritage Site and the Addo Elephant National Park following the Natural Wildlife corridors and ancient elephant migration paths that used to exist between these regions. The hike is all about conserving the corridors between Knysna and the Addo. 20 – 22 – Sep – Dr. Evil Classic is an annual world class three-day Garden Route MTB stage race averaging 22kms cycling per day starting in Plettenberg Bay and the name says it all as riders must be medically fit for this one, well trained and prepared. Here’s the daily programme. As the race venues are only on average 20 kilometres apart it is possible to stay in Plettenberg Bay at one of our beautiful houses of and self drive to the venues each morning ready for an 8am start. After all that cycling, a luxury and comfortable home could be extremely welcoming. 29 – 30 – Sep – Plett’s Wine & Bubbly Festival is an annual event where the exclusivity and glamour oozing from the event go nicely hand-in-hand with staying in one of our luxury villas. The event features numerous award winning wine and bubbly estates, lots of eats and in the most stunning location on the Sea front in Plettenberg Bay. In 2019 it will be held over Easter! 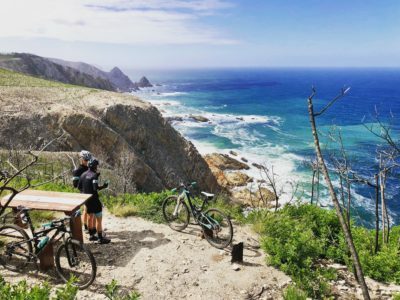 06 Oct – Tour de Plett is an annual October MTB event that tests riders technical skills along challenging runs through the indigenous forests of 87Km, 60Km, 45Km and 16Km routes ending on the beautiful Central Beach of Plettenberg Bay. The Tour De Plett is a mountain bikers dream race and attracts top professional riders from all over the country pushing themselves to the limit with an aim to walk away with a trophy. Read everything you need to know about the 2018 Tour de Plett here. 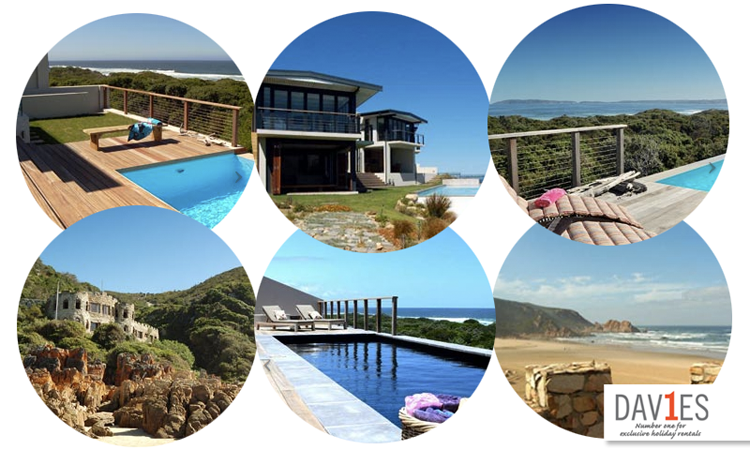 Why not make a long weekend of it, bring the family, bring your friends, stay in a beautiful house on the beach and enjoy everything Plett has to offer. The sun always shines on the Garden Route! Knysna and Plettenberg Bay are two of the most iconic towns on the Garden Route and many businesses rely heavily on seasonal tourism. To see these Winter months through, they work hard to provide plenty of adventure, events and things to do in order to attract visitors to the region. 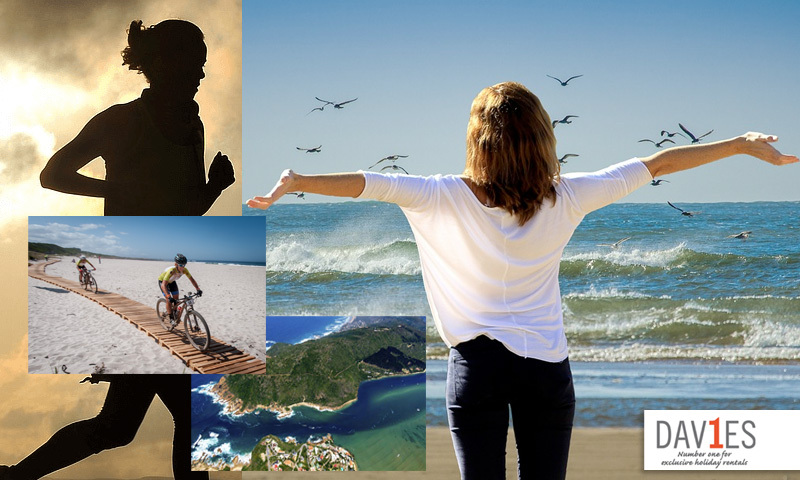 Whether you wish to take part in these events or you simply need a break from work, school or life itself, the Garden Route in Winter offers the most glorious sunny days, lots of outdoor activity, fresh air and natural beauty with every corner you turn. We hope to welcome our readers to this little paradise soon. Visit our accommodation availability page to view our small, carefully selected villas and holiday rentals. If you can’t make it this year come next year!